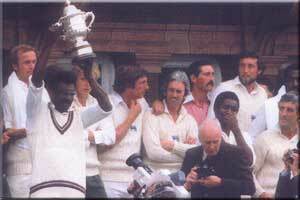 Second ODI Cricket World Cup was also played in England between 8 International Teams. England, India, New Zealand, Australia, Pakistan, Sri Lanka, West Indias and Canada participated for the 2nd Cricket World Cup tournament. Total 15 games were played at 6 different venues of England. 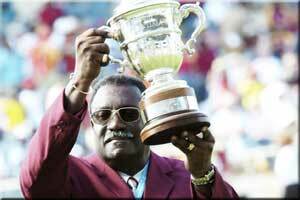 West Indies won successive world title on the back of some destructive batting and bowling. 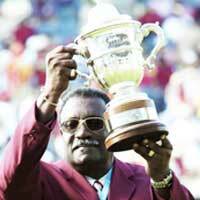 In Final match West Indies beat England by 92 runs. 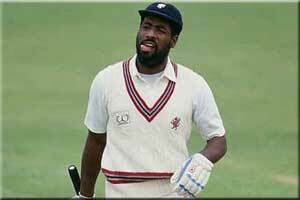 The final featured a brilliant hundred from Richards (138*), an even more brilliant 86 from Collis King, and a destructive 5 wickets from Joel Garner. 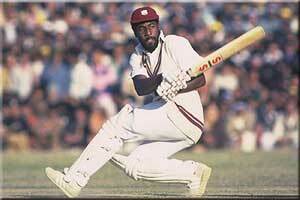 Viv Richards was man of the match for his 138* runs. Format : League stage divided into two groups of four. Top two from each progressed to the semis and winner goto final.